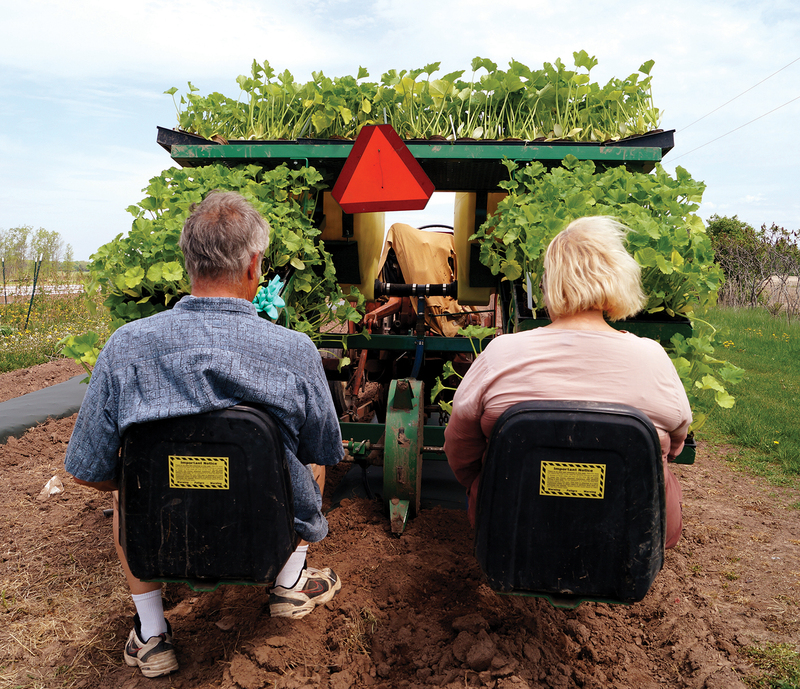 Planning, planting, pruning and picking produce keep Door County Farm Bureau members Steve and Char Sullivan busy year-round. The couple owns and operates Sully’s Produce LLC, in Sturgeon Bay. The business has been around for more than 30 years and specializes in fruits, vegetables, jams and jellies, plants, flowers and baked goods. 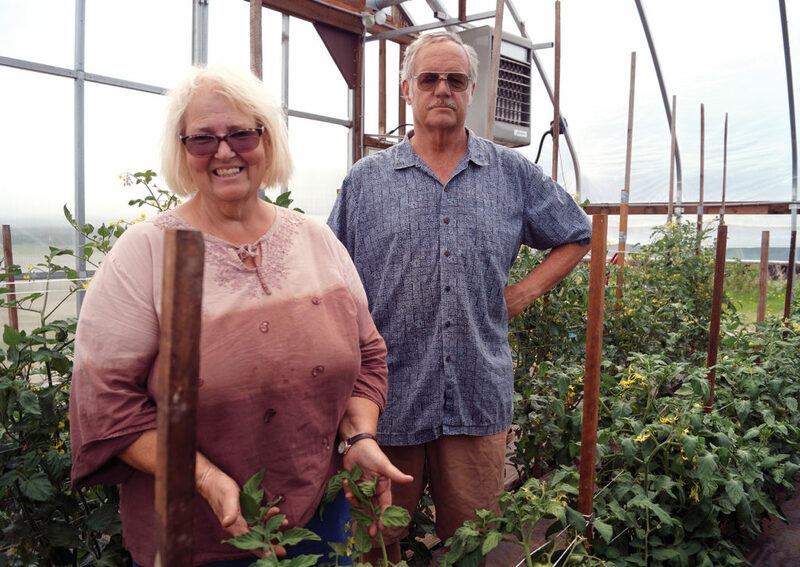 The Sullivans sell their produce at five Door County farmers’ markets in addition to doing some wholesale business with area stores, restaurants and other farmers’ markets for resale. From apples to zucchini, the family has an impressive line up of produce to offer. Steve and Char’s son Michael is pictured with two of their interns. 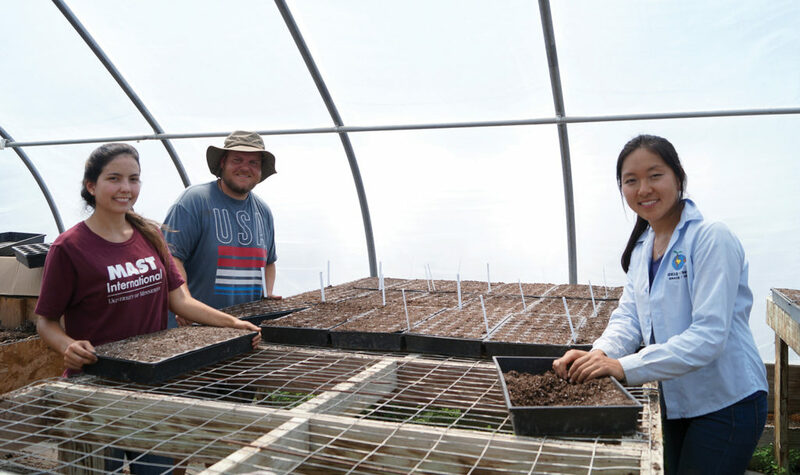 The Sullivans work with the University of Minnesota’s MAST International program to hire interns each season. Steve and Char have two sons, Shawn, 38 and Michael, 32 and three grandchildren. Shawn is a software developer for Epic Systems in Verona while Michael works on the farm. Char says the family takes pride in the role they play in providing food to people in the local area. The family is passionate about engaging their customers in conversations about how food is grown. 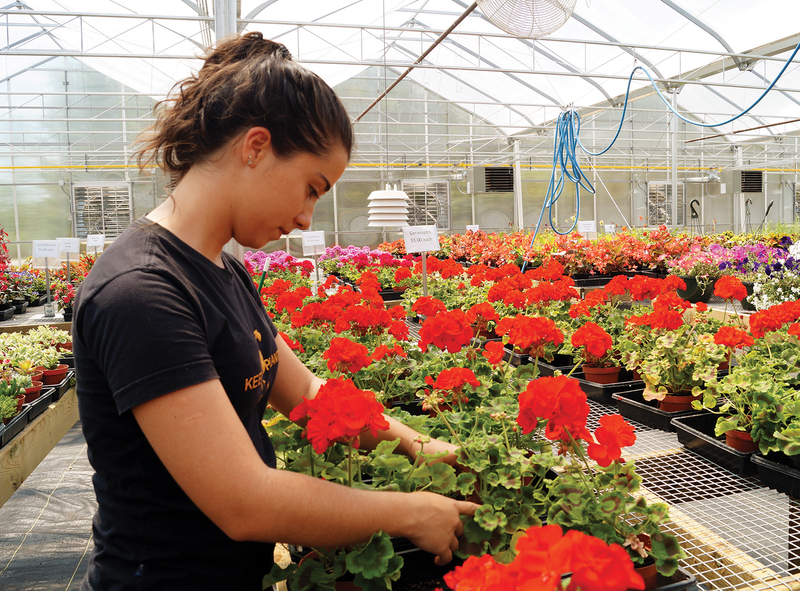 The Sullivan’s recently built a 10,000-square foot greenhouse for flowers. They hope to host build-your-own flower basket sessions and other events in this new space. Steve explained that one of his least favorite misconceptions about agriculture is that farmers don’t care for the environment. Being involved in discussions about the environment is one of the main reasons the Sullivans joined Farm Bureau. “We joined Farm Bureau to support agriculture and have a seat at the table with lawmakers to talk about implementing regulations that find a balance between allowing farmers to do their job while also ensuring our natural resources will be available for years to come,” Steve explained. The couple has been very active in Door County Farm Bureau. Steve served as county president, fair food stand manager, a member of the state Policy Development Committee and a member of the state Non-point Pollution Committee. Char served as treasurer for the Door County Farm Bureau. She also works at the county fair food stand and has been active with Ag in the Classroom activities and farm tours. “Everyone has their own unique role in the agricultural community and we are proud to have found our niche in growing produce,” Char said. Story by Amy Eckelberg. Original version appeared in the June/July 2018 issue of Wisconsin Farm Bureau Federation’s Rural Route.